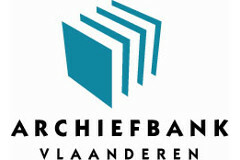 Archiefbank centralises the available information about Flemish private archives in an online database: www.archiefbank.be. This search tool is freely available to researchers, students and the general public. Archiefbank is an open and collective joint venture. The database is built up in close collaboration with partners from the broader heritage sector and with all those interested in the Flemish archival heritage.